The mission of the Indigenous Seed Keepers Network is to nourish and assist the growing Seed Sovereignty movement across Turtle Island (North America). As a national network, we leverage resources and cultivate solidarity and communication within the matrix of regional grass-roots tribal Seed Sovereignty projects. We accomplish this mission by providing educational resources, mentorship training, outreach and advocacy support on seed policy issues, and organizing national and regional events and convenings to connect many communities who are engaging in this vital work. The Indigenous Seed Keepers Network is a shade tree of support to the essential work of regional and tribal seed initiatives, as we offer a diverse array of resources aimed at nourishing and supporting a vibrant indigenous seed movement, as a compliment to the growing Food Sovereignty movement within Indian Country. 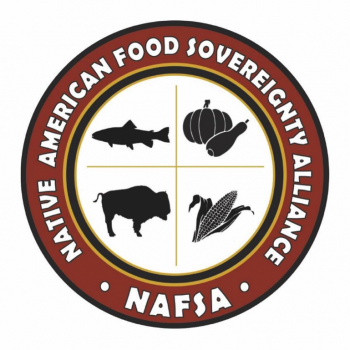 The Native American Food Sovereignty Alliance has successfully established as a new inter-tribal organization with a diverse leadership council and overall membership base spanning the entire nation.